Harsh weather is no match for Home Depot Patio Furniture. 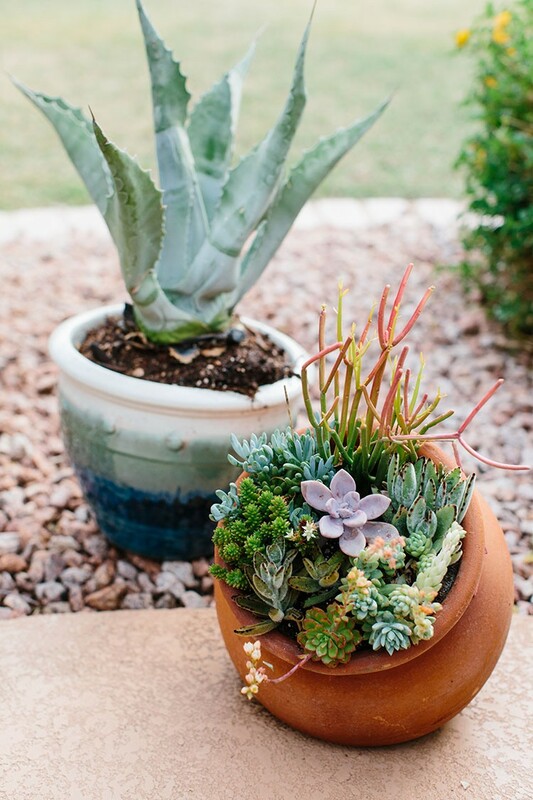 See how Alex Evjen of Ave Styles styles her patio into a desert oasis to be enjoyed for many years to come for this year’s Patio Style Challenge. About two years ago, I invested in brand new outdoor patio furniture, and two years later it was toast. The intense Arizona sun had bleached and dried the wood so much so that it was deteriorating and causing splinters. My off-white cushions we practically brown from the desert dust and breaking apart as well. I learned my lesson: invest in quality furniture and cushions that will last. That’s why I couldn’t wait to get my hands on this Highland Point 5-piece Conversation Set with Charleston cushions from The Home Depot. I knew it would be quality. The metal will surely last, and the fabric is weather resistant and durable enough to endure the Arizona heat. It did not disappoint. The comfort and room of these chairs is amazing. I love to snuggle and rock with my kids. 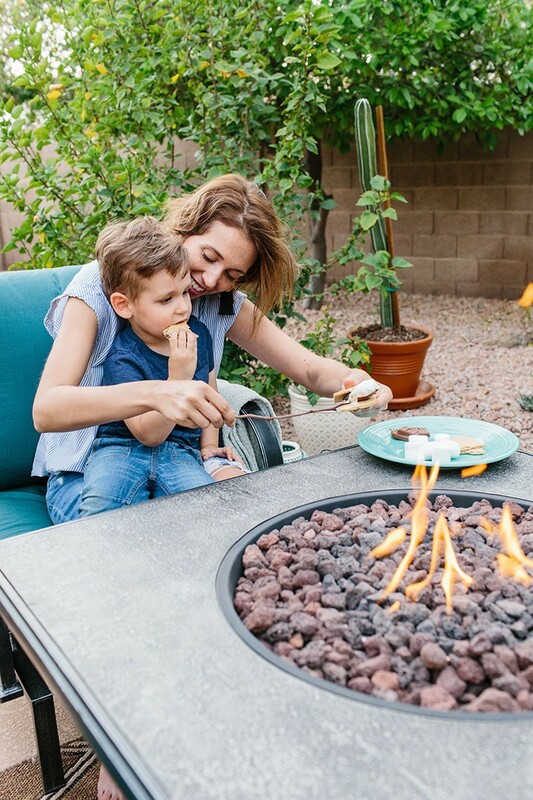 And their favorite part is the fire pit. Before, we had a different fire pit that was low to the ground, which was dangerous for the kids to be around. It also had an exposed propane tank. 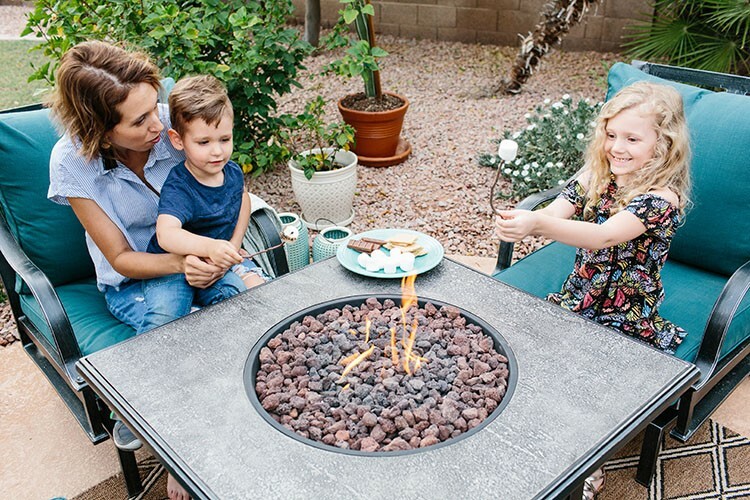 This fire pit, on the other hand, tucks the gas tank neatly underneath the table and also provides plenty of room to set your drinks and plates down. It’s perfect for s’mores. To make the space more of an oasis, I added some beautiful potted plants and this Hampton Bay Diamond Natural Outdoor Area Rug to anchor the patio set. 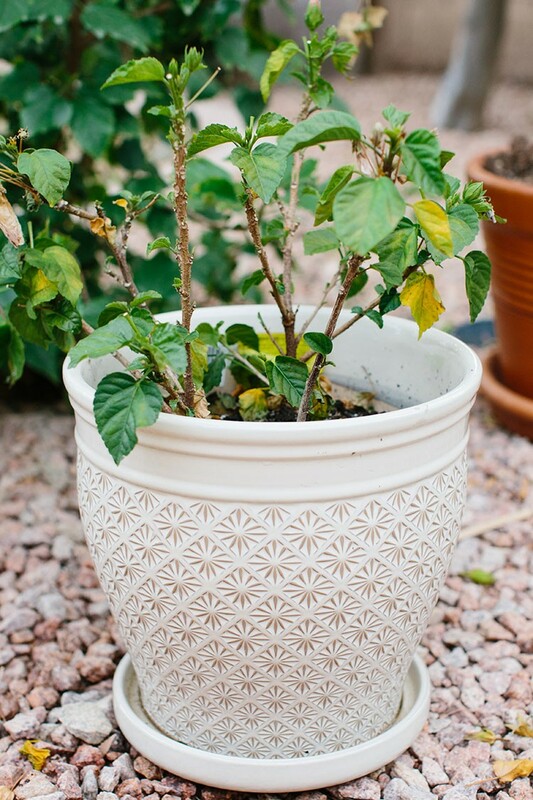 The Home Depot has such a great variety of plants to choose from and shopping for terra cotta or ceramic pots – like this ombre Stone Hobnail Pot – is one of my favorite things to do. I found succulents, hibiscus, cacti and more. 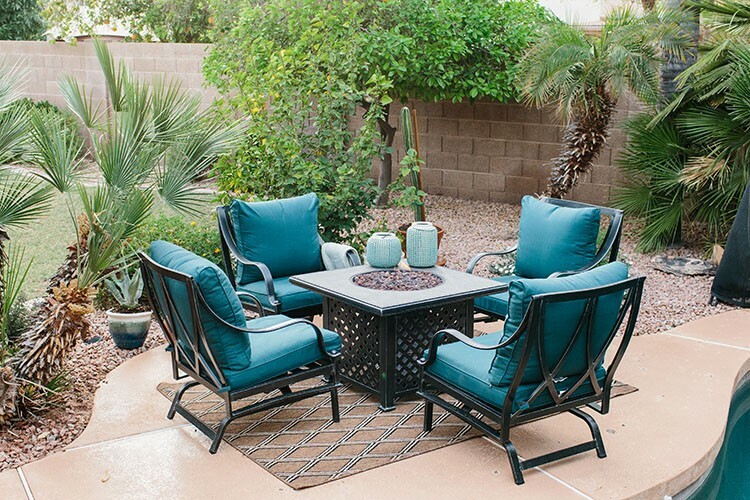 What was once a deteriorating deserted patio has turned into a lush desert oasis thanks to The Home Depot and, simply, the investment of a quality patio set, a rug and some plants. 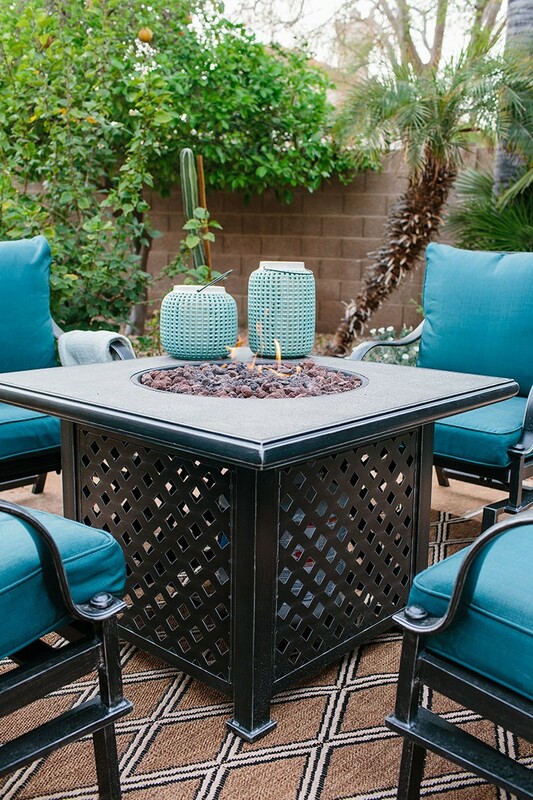 Create a lasting patio space with the help of Home Depot. 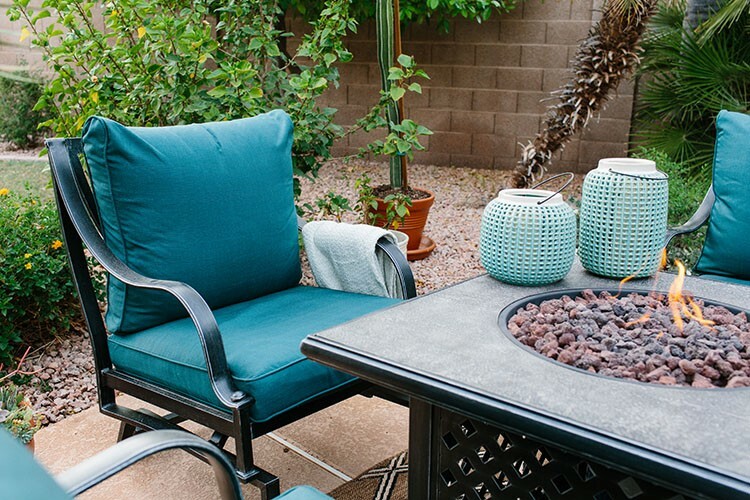 Find more Patio Style Challenge ideas on the Home Depot blog. The post Transform Your Backyard Into a Desert Oasis appeared first on The Home Depot Blog.